Mob's Lights, a Free-to-Use Resource! Hey all! As a result of working on my mapping project, I have created a large number of light textures that I want you all to be able to use in your own projects! I used a small number of light textures from the hamtextures.wad free-to-use resource, and the light patterns are based on the patterns used in the Back to Saturn X wad series. Like I said, feel free to use these in your own projects! Included in the zip is a wad file with all the textures and flats as well as the png files if you want to do any editing. Enjoy! Re: Mob's Lights, a Free-to-Use Resource! I mean X L ent! Thanks! I hope they come to be of use. Hopefully I'll be able to put out some more resource packs soon, I'm working on computer textures right now that I think y'all would love as well some "tileable" original CQ textures. The ZDooM forums have an ongoing thread where users can contribute free graphics. I don't see why we shouldn't have something similar. Any thoughts on that idea? Looks like a nice set, I think these could come in handy. 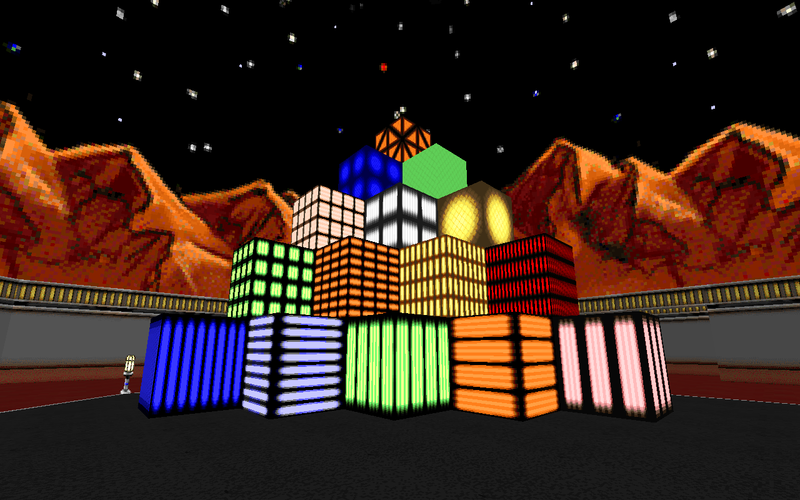 Careful, with this many bright colors I might be tempted to make a silly Chex themed Christmas map, maybe something like this. Boingo I like that idea, then I wouldn't need to make a new topic for each resource pack. Maybe have some sort of index post in there as well to keep track of all the submissions. Do you think it would be a sort of catch-all for resources (sprites, textures, sounds, music) or have separate threads for each? I figure since there isn't too much traffic we could just have it all in one thread. Marvindiurn: Your signature contains a suspicious url linking to a pharmaceutical web site. Please remove it.